Elon Musk was born on 28 June 1971, in Pretoria, Transvaal South Africa, to Canadian mother Maye, a dietitian and model, and South African electromechanical engineer Errol Musk. Elon is a noted entrepreneur and businessman, as well as an inventor, best known as the CEO and CTO of such international companies as SpaceX, Tesla Motors and SolarCity. Elon’s parents divorced when he was nine, and he lived with his father for the next 10 years. Musk’s career began when he first started programming at the young age of 10; he created his own software product – a BASIC-based video game he created called Blastar – and made a sale for $500 to PC and Office Technology magazine. 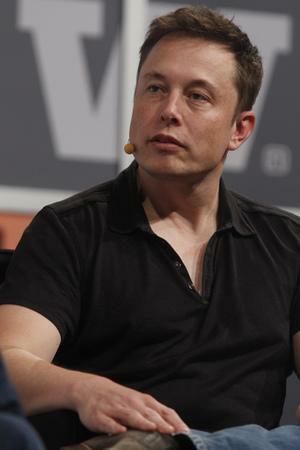 When he was 18, Elon Musk moved to Queen’s University campus in Canada to study, but transferred to opted for business and physics at the University of Pennsylvania, but graduated in economics while he continued to studying a bachelor’s program in physics in order to obtain a PhD in energy physics later in life. However, like several other rich people, he didn’t finish this degree, but instead Elon dropped out and launched his first company called Zip2, a web software company, in 1995 with his brother Kimbal. It was bought from him in 1999 by Compaq Computer for $307 million, plus stock options, of which Elon’s share was $22 million. The same year Elon founded another company called X.com, which specializes in financial services including payments – it later became what is now known as PayPal, which was bought by eBay in 2002 for roughly $1.5 billion in stock options. Obviously, Elon’s net worth was rocketing. The third company that Elon Musk founded was the already mentioned SpaceX – Space Exploration Technologies Corporation in 2002; Elon had the intention of building a spacecraft purely for commercial reasons, effectively promoting private space travel. NASA signed a contract with Musk’s SpaceX in 2008, which states that NASA plans to transport cargo to the International Space Station. By 2003 Must had also founded Tesla Motors, with the aim of developing, producing and selling affordable electric vehicles that are meant eventually for the mass-market. There is also a new concept that Elon developed in 2013 for a brand new type of transportation, which is called Hyperloop, and it is intended for travel at faster than 700 miles per hour in tubes between cities, and is already being tested. Most recently, SolarCity was acquired by Musk through Tesla, Inc. in 2016, and is currently a wholly owned subsidiary. It was founded in 2006 by Lindon and Peter Rive, and by 2013 was the second largest provider of solar power systems in the US. Elon’s net worth seems sure to continue rising! In his personal life, Elon Musk was married to Justine Wilson, a Canadian author, from 2000 to 2008; they had six sons, the first died from SIDS at 10 weeks, and subsequent twins and triplets were born through IVF. He was then married to Talulah Riley, firstly from 2010 to 2012, then from 2013 to 2016. Musk next dated Amber Heard, an American actress for a year, but is currently unattached. He is now an American citizen, and resides in Bel Air, California. 1 What I'm trying to do is, is to make a significant difference in space flight. And help make space flight accessible to almost anyone. 2 I hate writing about personal stuff. I don't have a Facebook page. I don't use my Twitter account. I am familiar with both, but I don't use them. 3 Self-driving cars are the natural extension of active safety and obviously something we should do. 4 I don't think it's a good idea to plan to sell a company. 5 I'd like to dial it back 5% or 10% and try to have a vacation that's not just e-mail with a view. 6 I'm reasonably optimistic about the future, especially the future of the United States - for the century, at least. 7 Winning 'Motor Trend' Car of the year is probably the closest thing to winning the Oscar or Emmy of the car industry. 8 Some companies out there quote a start of production that is substantially in advance of when customers get their cars. 9 If you had to buy a new plane every time you flew somewhere, it would be incredibly expensive. 10 With DNA, you have to be able to tell which genes are turned on or off. Current DNA sequencing cannot do that. The next generation of DNA sequencing needs to be able to do this. If somebody invents this, then we can start to very precisely identify cures for diseases. 11 Even if producing CO2 was good for the environment, given that we're going to run out of hydrocarbons, we need to find some sustainable means of operating. 12 What most people know but don't realize they know is that the world is almost entirely solar-powered already. If the sun wasn't there, we'd be a frozen ice ball at three degrees Kelvin, and the sun powers the entire system of precipitation. The whole ecosystem is solar-powered. 13 Tesla is here to stay and keep fighting for the electric car revolution. 14 In the early days of aviation, there was a great deal of experimentation and a high death rate. 15 SpaceX has the potential of saving the U.S. government $1 billion a year. We are opposed to creating an entrenched monopoly with no realistic means for anyone to compete. 16 If you think back to the beginning of cell phones, laptops or really any new technology, it's always expensive. 17 It's not as though we can keep burning coal in our power plants. Coal is a finite resource, too. We must find alternatives, and it's a better idea to find alternatives sooner then wait until we run out of coal, and in the meantime, put God knows how many trillions of tons of CO2 that used to be buried underground into the atmosphere. 18 The U.S. automotive industry has been selling cars the same way for over 100 years, and there are many laws in place to govern exactly how that is to be accomplished. 19 I think we are at the dawn of a new era in commercial space exploration. 20 It's important that we attempt to extend life beyond Earth now. It is the first time in the four billion-year history of Earth that it's been possible, and that window could be open for a long time - hopefully it is - or it could be open for a short time. We should err on the side of caution and do something now. 21 If you want to grow a giant redwood, you need to make sure the seeds are ok, nurture the sapling, and work out what might potentially stop it from growing all the way along. Anything that breaks it at any point stops that growth. 22 I think a lot of the American people feel more than a little disappointed that the high-water mark for human exploration was 1969. The dream of human space travel has almost died for a lot of people. 23 I think Tesla will most likely develop its own autopilot system for the car, as I think it should be camera-based, not Lidar-based. However, it is also possible that we do something jointly with Google. 24 I like the word 'autopilot' more than I like the word 'self-driving.' 'Self-driving' sounds like it's going to do something you don't want it to do. 'Autopilot' is a good thing to have in planes, and we should have it in cars. 25 Obviously Tesla is about helping solve the consumption of energy in a sustainable manner, but you need the production of energy in a sustainable manner. 26 Trying to read our DNA is like trying to understand software code - with only 90% of the code riddled with errors. It's very difficult in that case to understand and predict what that software code is going to do. 27 Government isn't that good at rapid advancement of technology. It tends to be better at funding basic research. To have things take off, you've got to have commercial companies do it. 28 Biofuels such as ethanol require enormous amounts of cropland and end up displacing either food crops or natural wilderness, neither of which is good. 29 The revolutionary breakthrough will come with rockets that are fully and rapidly reusable. We will never conquer Mars unless we do that. It'll be too expensive. The American colonies would never have been pioneered if the ships that crossed the ocean hadn't been reusable. 30 A battery by definition is a collection of cells. So the cell is a little can of chemicals. And the challenge is taking a very high-energy cell, and a large number of them, and combining them safely into a large battery. 31 It is theoretically possible to warp spacetime itself, so you're not actually moving faster than the speed of light, but it's actually space that's moving. 32 Rockets are cool. There's no getting around that. 33 Tesla is becoming a real car company. 34 Boeing just took $20 billion and 10 years to improve the efficiency of their planes by 10 percent. That's pretty lame. I have a design in mind for a vertical liftoff supersonic jet that would be a really big improvement. 35 Nobody wants to buy a $60,000 electric Civic. But people will pay $90,000 for an electric sports car. 36 I'm a Silicon Valley guy. I just think people from Silicon Valley can do anything. 37 Selling an electric sports car creates an opportunity to fundamentally change the way America drives. 38 I'm glad to see that BMW is bringing an electric car to market. That's cool. 39 In order to have your voice be heard in Washington, you have to make some little contribution. 40 I'm personally a moderate and a registered independent, so I'm not strongly Democratic or strongly Republican. 41 I think long term you can see Tesla establishing factories in Europe, in other parts of the U.S. and in Asia. 42 Mars is the only place in the solar system where it's possible for life to become multi-planetarian. 43 Great companies are built on great products. 44 Physics is really figuring out how to discover new things that are counterintuitive, like quantum mechanics. It's really counterintuitive. 45 A Prius is not a true hybrid, really. The current Prius is, like, 2 percent electric. It's a gasoline car with slightly better mileage. 46 I don't create companies for the sake of creating companies, but to get things done. 47 I've been to Disneyland, like, 10 times. I'm getting really tired of Disneyland. 48 As you heat the planet up, it's just like boiling a pot. 49 The United States is definitely ahead in culture of innovation. If someone wants to accomplish great things, there is no better place than the U.S.
50 In order for us to have a future that's exciting and inspiring, it has to be one where we're a space-bearing civilization. 51 If we drive down the cost of transportation in space, we can do great things. 52 My opinion is it's a bridge too far to go to fully autonomous cars. 53 Land on Mars, a round-trip ticket - half a million dollars. It can be done. 54 The lessons of history would suggest that civilisations move in cycles. You can track that back quite far - the Babylonians, the Sumerians, followed by the Egyptians, the Romans, China. We're obviously in a very upward cycle right now, and hopefully that remains the case. But it may not. 55 I think there are more politicians in favor of electric cars than against. There are still some that are against, and I think the reasoning for that varies depending on the person, but in some cases, they just don't believe in climate change - they think oil will last forever. 56 I always invest my own money in the companies that I create. I don't believe in the whole thing of just using other people's money. I don't think that's right. I'm not going to ask other people to invest in something if I'm not prepared to do so myself. 57 The space shuttle was often used as an example of why you shouldn't even attempt to make something reusable. But one failed experiment does not invalidate the greater goal. If that was the case, we'd never have had the light bulb. 58 If anyone has a vested interest in space solar power, it would have to be me. 59 If anyone thinks they'd rather be in a different part of history, they're probably not a very good student of history. Life sucked in the old days. People knew very little, and you were likely to die at a young age of some horrible disease. You'd probably have no teeth by now. It would be particularly awful if you were a woman. 60 I wouldn't say I have a lack of fear. In fact, I'd like my fear emotion to be less because it's very distracting and fries my nervous system. 61 People work better when they know what the goal is and why. It is important that people look forward to coming to work in the morning and enjoy working. 62 I just want to retire before I go senile because if I don't retire before I go senile, then I'll do more damage than good at that point. 63 You need to be in the position where it is the cost of the fuel that actually matters and not the cost of building the rocket in the first place. 64 Facebook is quite entrenched and has a network effect. It's hard to break into a network once it's formed. 65 The future of humanity is going to bifurcate in two directions: Either it's going to become multiplanetary, or it's going to remain confined to one planet and eventually there's going to be an extinction event. 66 Some people don't like change, but you need to embrace change if the alternative is disaster. 67 You need to live in a dome initially, but over time you could terraform Mars to look like Earth and eventually walk around outside without anything on... So it's a fixer-upper of a planet. 68 I think the high-tech industry is used to developing new things very quickly. It's the Silicon Valley way of doing business: You either move very quickly and you work hard to improve your product technology, or you get destroyed by some other company. 69 I was born in Africa. I came to California because it's really where new technologies can be brought to fruition, and I don't see a viable competitor. 70 In the case of Apple, they did originally do production internally, but then along came unbelievably good outsourced manufacturing from companies like Foxconn. We don't have that in the rocket business. There's no Foxconn in the rocket business. 71 There are really two things that have to occur in order for a new technology to be affordable to the mass market. One is you need economies of scale. The other is you need to iterate on the design. You need to go through a few versions. 72 For all the supporters of Tesla over the years, and it's been several years now and there have been some very tough times, I'd just like to say thank you very much. I deeply appreciate the support, particularly through the darkest times. 73 There's nothing - I've bought everything I want. I don't like yachts or anything; you know, I'm not a yacht person, and I've got pretty much the nicest plane I'd want to have. 74 The odds of me coming into the rocket business, not knowing anything about rockets, not having ever built anything, I mean, I would have to be insane if I thought the odds were in my favor. 75 I'm anti-tax, but I'm pro-carbon tax. 76 Automotive franchise laws were put in place decades ago to prevent a manufacturer from unfairly opening stores in direct competition with an existing franchise dealer that had already invested time, money and effort to open and promote their business. 77 I think most of the important stuff on the Internet has been built. There will be continued innovation, for sure, but the great problems of the Internet have essentially been solved. 78 It is definitely true that the fundamental enabling technology for electric cars is lithium-ion as a cell chemistry technology. In the absence of that, I don't think it's possible to make an electric car that is competitive with a gasoline car. 79 The rumours of the demise of the U.S. manufacturing industry are greatly exaggerated. 80 America is the spirit of human exploration distilled. 81 The reason we should do a carbon tax is because it's the right thing to do. It's economics 101, elementary stuff. 82 Any product that needs a manual to work is broken. 83 I would like to fly in space. Absolutely. That would be cool. I used to just do personally risky things, but now I've got kids and responsibilities, so I can't be my own test pilot. That wouldn't be a good idea. But I definitely want to fly as soon as it's a sensible thing to do. 84 If humanity doesn't land on Mars in my lifetime, I would be very disappointed. 85 It would take six months to get to Mars if you go there slowly, with optimal energy cost. Then it would take eighteen months for the planets to realign. Then it would take six months to get back, though I can see getting the travel time down to three months pretty quickly if America has the will. 86 You could warm Mars up, over time, with greenhouse gases. 87 I feel very strongly that SpaceX would not have been able to get started, nor would we have made the progress that we have, without the help of NASA. 88 Silicon Valley has some of the smartest engineers and technology business people in the world. 89 I tend to approach things from a physics framework. And physics teaches you to reason from first principles rather than by analogy. 90 I really do encourage other manufacturers to bring electric cars to market. It's a good thing, and they need to bring it to market and keep iterating and improving and make better and better electric cars, and that's what going to result in humanity achieving a sustainable transport future. I wish it was growing faster than it is. 91 My vision is for a fully reusable rocket transport system between Earth and Mars that is able to re-fuel on Mars - this is very important - so you don't have to carry the return fuel when you go there. 92 An asteroid or a supervolcano could certainly destroy us, but we also face risks the dinosaurs never saw: An engineered virus, nuclear war, inadvertent creation of a micro black hole, or some as-yet-unknown technology could spell the end of us. 93 It's obviously tricky to convert cellulose to a useful biofuel. I think actually the most efficient way to use cellulose is to burn it in a co-generation power plant. That will yield the most energy and that is something you can do today. 94 Silicon Valley has evolved a critical mass of engineers and venture capitalists and all the support structure - the law firms, the real estate, all that - that are all actually geared toward being accepting of startups. 95 I think it matters whether someone has a good heart. 96 I think life on Earth must be about more than just solving problems... It's got to be something inspiring, even if it is vicarious. 97 There are some important differences between me and Tony Stark, like I have five kids, so I spend more time going to Disneyland than parties. 98 Really, the only thing that makes sense is to strive for greater collective enlightenment. 99 I do think there is a lot of potential if you have a compelling product and people are willing to pay a premium for that. I think that is what Apple has shown. You can buy a much cheaper cell phone or laptop, but Apple's product is so much better than the alternative, and people are willing to pay that premium. 100 We're running the most dangerous experiment in history right now, which is to see how much carbon dioxide the atmosphere... can handle before there is an environmental catastrophe. 101 I've actually not read any books on time management. 102 My background educationally is physics and economics, and I grew up in sort of an engineering environment - my father is an electromechanical engineer. And so there were lots of engineery things around me. 103 The fuel cell is just a fundamentally inferior way of delivering electrical energy to an electric motor than batteries. 104 Life is too short for long-term grudges. 105 It's OK to have your eggs in one basket as long as you control what happens to that basket. 106 Patience is a virtue, and I'm learning patience. It's a tough lesson. 107 I don't spend my time pontificating about high-concept things; I spend my time solving engineering and manufacturing problems. 108 Yeah, well I think anyone who likes fast cars will love the Tesla. And it has fantastic handling by the way. I mean this car will crush a Porsche on the track, just crush it. So if you like fast cars, you'll love this car. And then oh, by the way, it happens to be electric and it's twice the efficiency of a Prius. 109 The reality is gas prices should be much more expensive then they are because we're not incorporating the true damage to the environment and the hidden costs of mining oil and transporting it to the U.S. Whenever you have an unpriced externality, you have a bit of a market failure, to the degree that externality remains unpriced. 110 There have only been about a half dozen genuinely important events in the four-billion-year saga of life on Earth: single-celled life, multicelled life, differentiation into plants and animals, movement of animals from water to land, and the advent of mammals and consciousness. 111 When I was in college, I wanted to be involved in things that would change the world. 112 If you're trying to create a company, it's like baking a cake. You have to have all the ingredients in the right proportion. 113 I would like to die on Mars. Just not on impact. 114 I've actually made a prediction that within 30 years a majority of new cars made in the United States will be electric. And I don't mean hybrid, I mean fully electric. 115 When Henry Ford made cheap, reliable cars people said, 'Nah, what's wrong with a horse?' That was a huge bet he made, and it worked. 116 If you go back back a few hundred years, what we take for granted today would seem like magic - being able to talk to people over long distances, to transmit images, flying, accessing vast amounts of data like an oracle. These are all things that would have been considered magic a few hundred years ago. 117 I think it's very important to have a feedback loop, where you're constantly thinking about what you've done and how you could be doing it better. I think that's the single best piece of advice: constantly think about how you could be doing things better and questioning yourself. 118 When something is important enough, you do it even if the odds are not in your favor. 119 The path to the CEO's office should not be through the CFO's office, and it should not be through the marketing department. It needs to be through engineering and design. 120 I think it's very important to have a feedback loop, where you're constantly thinking about what you've done and how you could be doing it better. 121 I think that's the single best piece of advice: constantly think about how you could be doing things better and questioning yourself. 122 Brand is just a perception, and perception will match reality over time. Sometimes it will be ahead, other times it will be behind. But brand is simply a collective impression some have about a product. 123 I do love email. Wherever possible I try to communicate asynchronously. I'm really good at email. 124 The problem is that at a lot of big companies, process becomes a substitute for thinking. You're encouraged to behave like a little gear in a complex machine. Frankly, it allows you to keep people who aren't that smart, who aren't that creative. 1 Inducted into the Entrepreneur Hall of Fame. 2 Inducted into the International Space Hall of Fame in 2014. 3 He has English, and some Dutch (Afrikaner) and German, ancestry, as well as distant French Huguenot roots. 6 CEO & Product Architect of Tesla Motors and CEO & CTO SpaceX. 7 Brother of Tosca Musk.